When a disaster strikes, it may not leave your family much time to prepare. After a disaster, local emergency officials and relief workers will be on the scene, but they will not be able to reach everyone immediately. It could take hours or even days before help can get to your neighborhood. 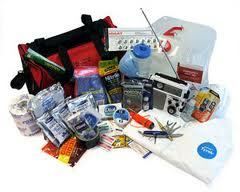 Preparing a disaster supply kit will help your family better cope with the situation. View a printable version of the list.